The Ministry of Education, Specialty Ministry Track (SMT) is designed to prepare you for a variety of ministry opportunities. Select one of four Specialty Ministry Track concentrations, depending on your specific interests and calling: Pastoral, Missionary, Evangelistic, and Administrative. Each track is especially designed to equip the student with practical tools needed to be effective in the selected concentration. Each track is also particularly intended for those who feel the call of God to be a part of a ministry team nationally or internationally. Plus, you can earn VETI elective units for each Arguinzoni Academy course. Access all courses, live, from anywhere in the world. Connect to your course using your laptop, tablet or phone. 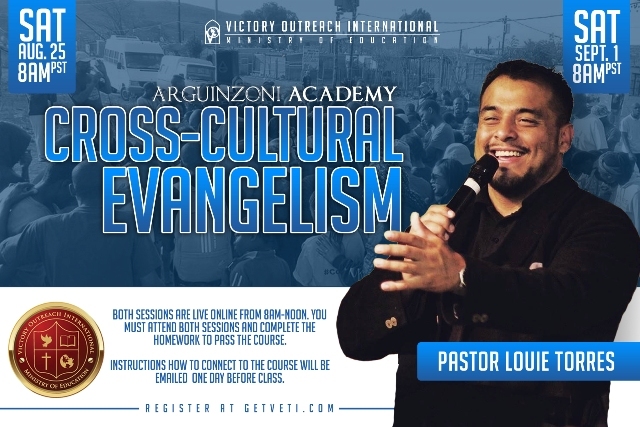 Learn inner-city ministry from the unique perspective of Victory Outreach. Connect with VOI Elders, Regional & Multi-Regional Pastors through quarterly online coaching sessions. Earn a certificate in Pastoral, Evangelistic, Missionary or Administrative Ministry. Position yourself to be launched out to the mission field. 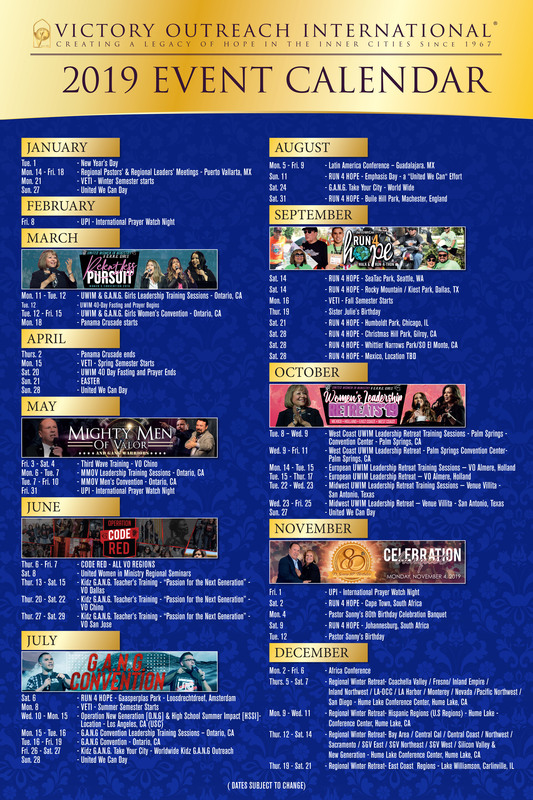 Complete any Specialty Ministry Track in 1 year. 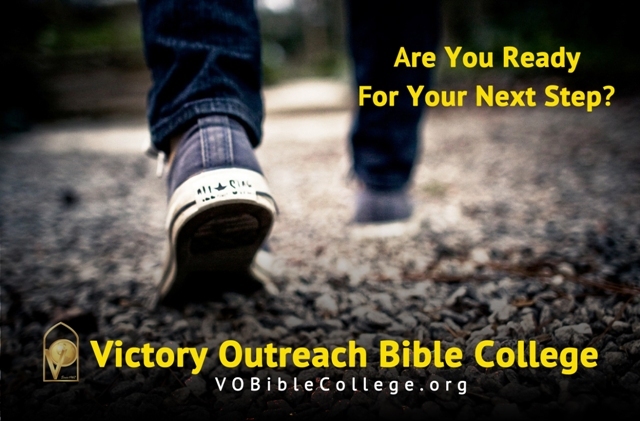 The Ministry of Education is focused on the mission and vision of Victory Outreach International; to reach the inner cities of the world with the gospel of Jesus Christ. 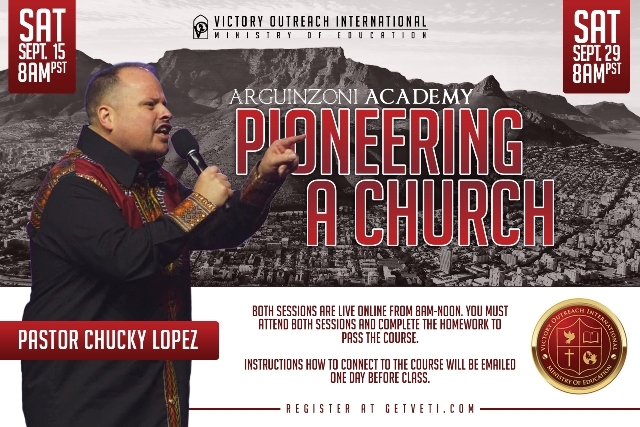 The Specialty Ministry Tracks provide cutting edge training that honors the uniqueness of Victory Outreach International. There are no requirements needed to enroll in any track. All units earned count towards the ministerial licensing requirement and earning a VETI degree. 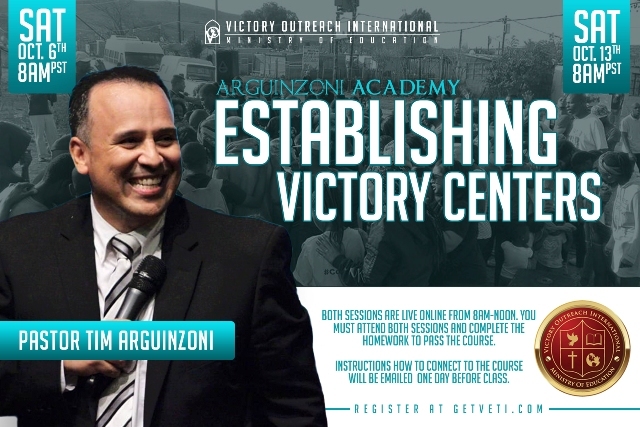 Start your ministry training today and graduate at the 2020 Victory Outreach International World Conference with a Specialty Ministry Track (SMT) Diploma. For more information email veti@victoryoutreach.org or call 909-599-4437. 1. 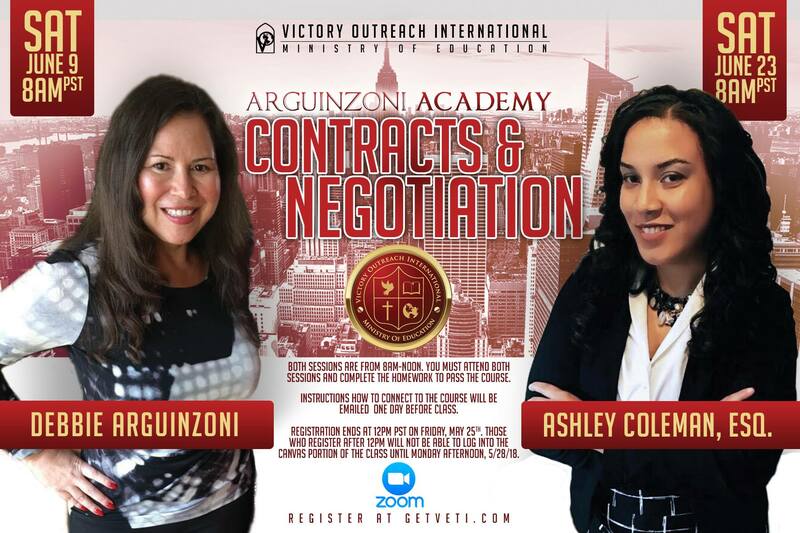 Whats the difference between VETI and the Arguinzoni Academy? VETI focuses on Bible and Theological training with classes like, Systematic Theology, New Testament Survey, Hermeneutics, Spiritual Disciplines, Church History, etc. 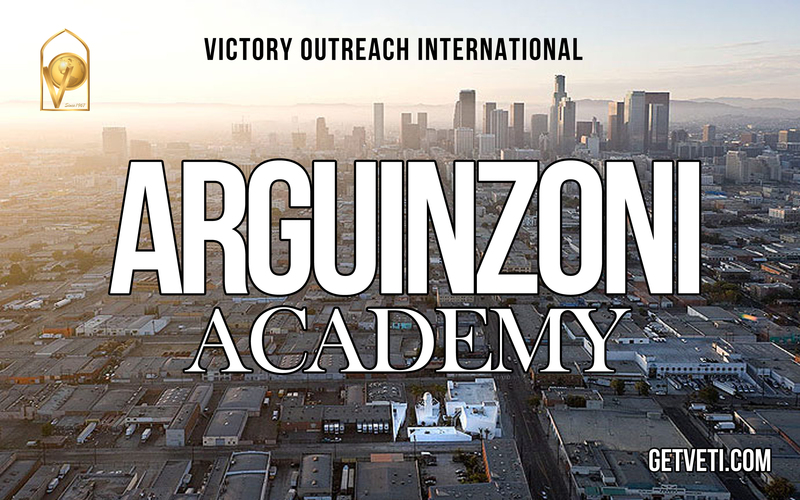 The Arguinzoni Academy focuses on practical ministry training and offer courses such as Team Ministry, City Wide Outreach, Admin Leadership, etc. 2. Can I enroll in both VETI and Arguinzoni Academy courses? Yes, you can enroll in as many courses as you can handle. 3. How long is each Arguinzoni Academy course? Each Arguinzoni Academy course is 8 hours and consist of two 4-hour sessions. Classes usually meet on Saturday mornings from 8am – Noon PST. 4. How much is one course? 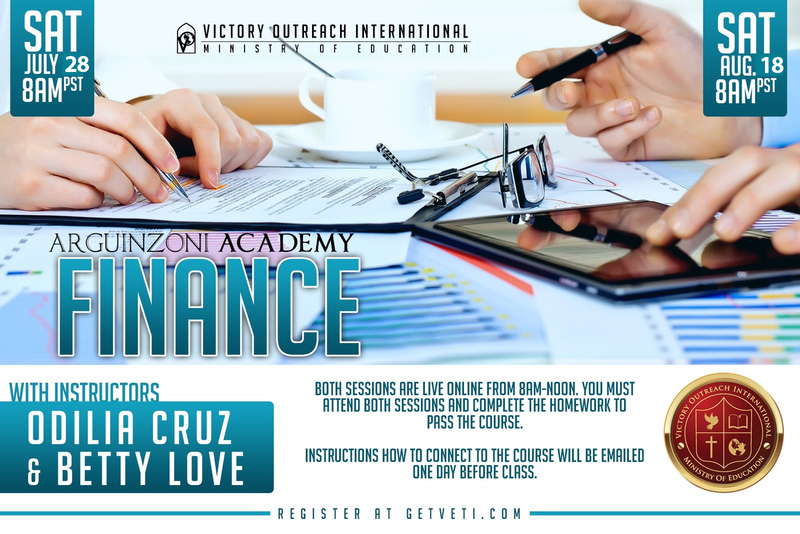 Since all Arguinzoni Academy courses count toward VETI elective credits, the cost is the same as a regular VETI Intensive course, $135. If you do not wish to earn VETI credit (3-units) for a course, you can enroll as an Audit student for only $50. If you do enroll as an audit student, you cannot later decide to pay the difference in order to earn credit. 5. Can I enroll in multiples tracks? Yes, but it is advisable to enroll in one track first to make sure you finish it. 6. When will the next course be offered?